The victims of last summer’s war with Gaza were memorialized Wednesday evening in a special LIBI Fund sponsored event at the Western Wall in which 75 Torah scrolls were dedicated in their memory. Israeli officials, including President Reuven Rivlin, Defense Minister Moshe Ya’alon, IDF Chief of Staff Gadi Eizenkot, Chief Rabbis David Lau and Yitzchak Yosef, and Western Wall Rabbi Shmuel Rabinovitch, and families of the fallen inaugurated the Torah scrolls in memory of the fallen soldiers and civilians. The LIBI Fund, the IDF’s humanitarian unit, worked in conjunction with the Yad Labanim organization to organize the dedication of the scrolls. Each Torah will be sent to memorial sites and IDF bases across the country to commemorate Israel’s fallen. At the event, one of Israel’s most iconic photos was reenacted when a historic Torah scroll was brought once agains to the Western Wall. 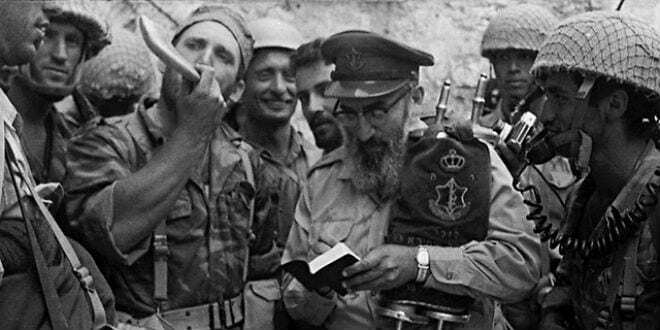 The photo shows the army’s chief rabbi, Rabbi Shlomo Goren, holding a Torah scroll while blowing a ram’s horn (shofar) following the liberation of the Temple Mount from Jordanian control during the Six Day War. The same scroll carried by Goren was once again able to visit the Temple Mount some 48 years later in the hands of Israel’s current defense minister. The arrival of the scroll was accompanied by the 75 other Torah scrolls donated in honor of the memory of each fallen soldier and victim during Operation Protective Edge. The iconic Torah was originally donated to the IDF in memory of Baruch Shapira, who fell during the War of Independence in 1948. Goren had originally taken the historic scroll with him when he retired from the IDF, but several months ago, it was returned to the army. The Torah now resides in the bureau of the Chief of Staff. “The Torah scroll’s arrival at the Western Wall holds a special meaning for the Jewish people, and we are glad that this is being done along with…other scrolls. 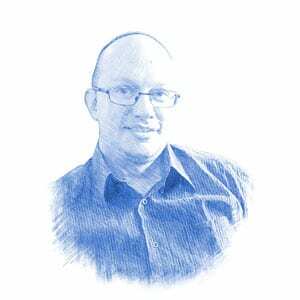 It will enable us to mark a special event in memory of the IDF’s fallen soldiers,” said Yad Labanim Chairman Eli Ben Shem.